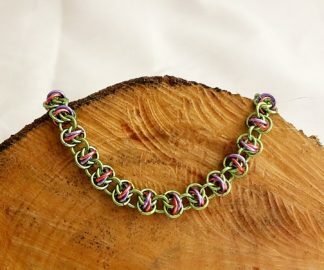 Delightful Kriss Kross Barrel Chain Maille Bracelet is just charming. 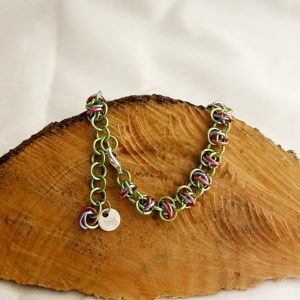 This Delightful Kriss Kross Barrel Chain Maille Bracelet is a charming addition to any outfit. These rings will remind you of fairy colors as the lavender, rose and seafoam dance across your wrist. 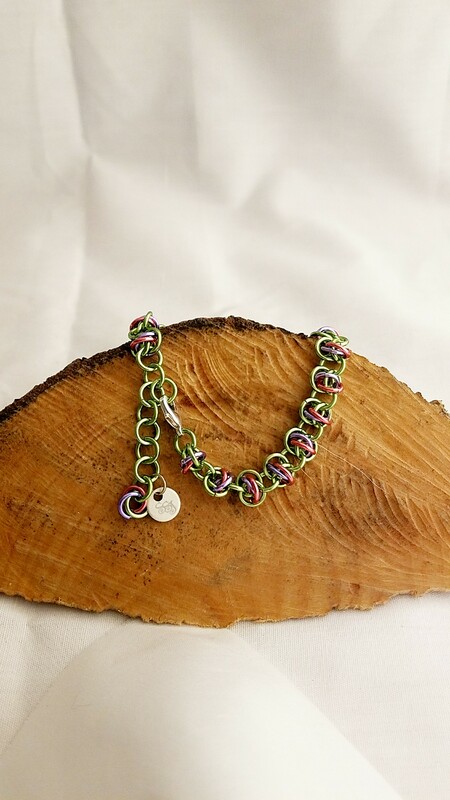 This Delightful Kriss Kross Barrel Chain Maille Bracelet is a charming addition to any outfit. These rings will remind you of fairy colors as the lavender, rose and seafoam dance across your wrist. These rings are anodized aluminum making them not only light to wear but hypoallergenic as well which is great for those that have an allergy to some metals. Example: My wrist measurement is 6¾”. If I would like my bracelet to be snug I would select the 7” option. Likewise, If I would like it to be looser I would select the 7½” option. 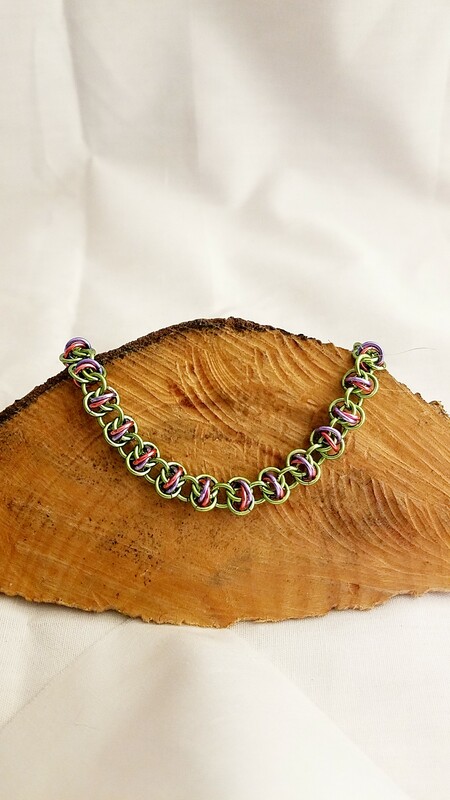 Also, this Bracelet can be made in a variety of colors, which are available on the site. 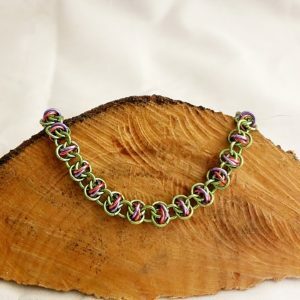 Therefore if you would like more information about the gemstones and items I use in making my handmade items like this, Kriss Kross Barrel Chain Maille Bracelet Gemstone Description Page and my Chain Maille Descriptions page. Let this Delightful Kriss Kross Barrel Chain Maille Bracelet make your outfit look delightful.